I just received my Beaglebone and started experimenting with it. 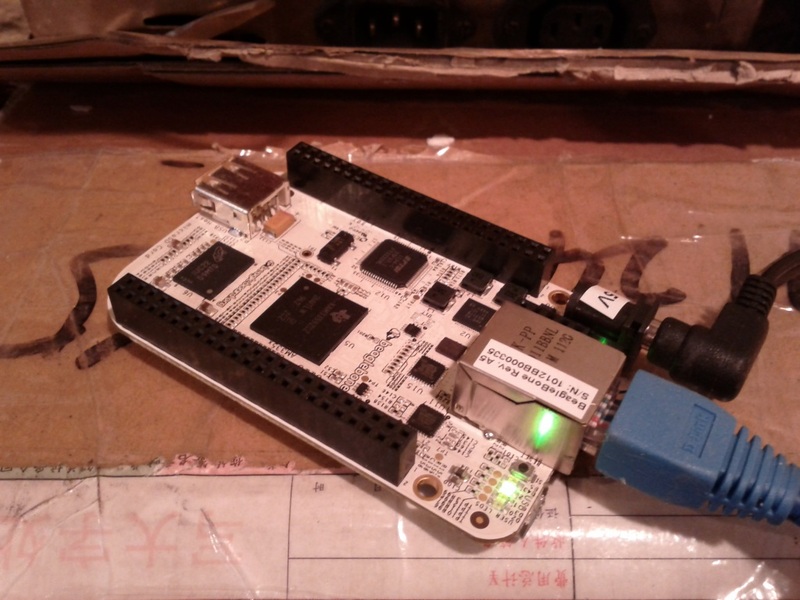 The Beaglebone is a low cost, single board Linux computer with tons of IOs to interface with the physical world. My objective is to make a Python Robot using the Beaglebone as the brain and my Makerbot to build the frame. I found an excellent series of articles on how to get started with the Beaglebone on the Dan Watts’s blog. The most interesting feature of this board is the way used to read and write to the IOs using the file system. By using the file system, the IOs are accessible trough any language you may want to install on your Beaglebone Linux distro. I’ll post some practical examples in the following days.